"There are times in politics when you must be on the right side and lose." Today I am reminded of famous economist and friend of India, John Kenneth Galbraith, and his prophetic statement. This is at a time when TV debates are trying to write the obituary of AAP - for the nth time. Yes, AAP lost the Delhi by-election in Rajouri Garden with a big margin. The result has been pronounced the verdict on the performance of the AAP government of Delhi and AAP's rout is predicted in next week's municipal corporation elections. AAP is used to the hostility of a section of the media and has become immune to such innuendos; it does not affect us beyond a point because it is not only absurd in logic, but also exposes the inherent bias of a few. They all know in their heart that AAP is right despite its loss. There is no denying the fact that the loss is massive. But to be frank, it was expected. I had been to Rajouri Garden many times and I could sense that there was anger. This anger was neither against the government of the day nor against the leadership. It was against the resignation of the local MLA, who, on the call of duty, had resigned from Delhi to contest in Lambi in Punjab. Lambi is the traditional seat of the doyen of Punjab politics and sitting Chief Minister Parkash Singh Badal. His government was neck-deep in corruption. In ten years of its rule, corruption was so systematically institutionalised that people swore that it had become impossible for an ordinary businessman and citizen to do business or get its work done without paying a bribe to the ruling Akali Dal. AAP wanted to send a loud indicative message that it wanted to fight corruption and defeat the veteran in his own burrow. That needed a strong leader with deep conviction. Traditionally in Indian politics, big leaders are let off easily and opposing parties adjust and accommodate each other, don't challenge them in their respective hustings. But AAP has been waging a war against corruption and those who are corrupt. Jarnail Singh had decided to fight against senior Badal knowing fully well that it won't be easy. Yet, he did not flinch for a second. He resigned as MLA, fought against Badal. Any other politician from any other outfit would not have jeopardised his career. Who would risk his MLAship and contest from another constituency, knowing he might not be an MLA if he loses? 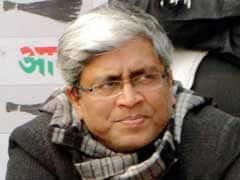 But it did not auger well for his ex constituency in Delhi. During the campaigning, there were angry outbursts and it was said that he was elected for five years, he should have stayed put there. The problem was that the party could not explain the big picture, the larger fight that is the hallmark of AAP. The party respects the sentiment of people, and bows to their anger. I am sure people will understand in future. It is also a lesson for us. It is rather unfortunate that a section is trying to make it seem as if the last of AAP has been heard or seen. Probably they might not be aware of the facts of history or may be they are ignoring them deliberately. Let me remind my dear friends that after an earth-shaking victory in 2013, AAP lost all seats in the parliamentary election in Delhi; then, just before the assembly election of 2015, AAP again lost very badly in Delhi Cantonment Board elections, it was a poor third with just one seat. The BJP won five and Congress, two. Despite this humiliating defeat, AAP won 67 seats in the state election, BJP was reduced to three and Congress could not open its account. At the same time in Varanasi, similar things happened. In the Varanasi Cantonment Board election, the BJP could not open its account. One can say it's no big deal, BJP had been languishing on the margins in UP for long. But remember that this election was held just months after BJP's stupendous victory in Uttar Pradesh in the general election. It had garnered 73 seats, including two of its ally, Apna Dal. The most popular Prime Minster after Indira Gandhi, Narendra Modi, had defeated Arvind Kejriwal by more than three lakh votes in Varanasi. In a way, with the cantonment election, the BJP scored a blank on Modi's home turf. If similar logic is applied, then does it not mean that Modi lost his charisma in a few months after his historic win in Varanasi? If that was true, then how come BJP and its allies romped home with 324 seats in the recently-held UP assembly election? The BJP experienced a similar result in the Lucknow Cantonment Board also in December, 2014, where Number Two in the central cabinet, Rajnath Singh, is an elected MP. So the two biggest stalwarts of BJP could not win Cantonment Boards for the party. Sheila Dikshit was the Chief Minister of Delhi for fifteen years. She won three consecutive terms starting in 1998. She was hailed as a potential Prime Ministerial candidate. But in municipal elections, her party lost twice to the BJP. And while the BJP won two successive terms in the Municipal Corporation of Delhi, it lost all subsequent assembly elections. It has to be understood that every election has its own dynamics and a different chemistry which varies from region to region and also from one kind of election to another. Parliamentary elections are for the election of the Prime Minister of India. State elections are determined by who people want as the Chief Minister. One is fought on national issues, the other on regional ones. Municipal corporations and panchayats are contested on local issues and for local leadership. Similar voters chose Modi for the parliament in 2014 and Arvind Kejriwal for Delhi assembly in 2015. It does not mean that one has negated the other. This is indicative of the maturity of Indian voters: they choose differently for different occasions. So to pronounce Rajouri Garden's result as the demise of AAP will be hoodwinking the reality. Remember what Republican politician, Barry M Goldwater said long ago - "In your heart, you know he is right."